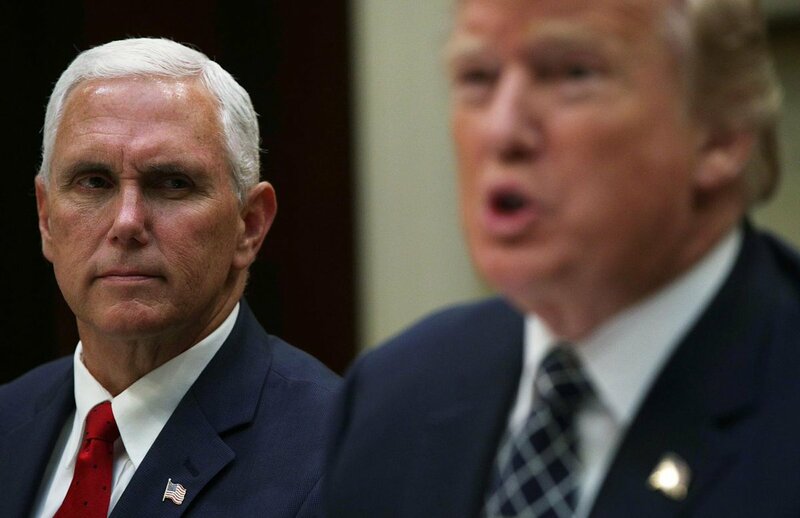 After a year of the Mueller investigation, Pence says it's time to wrap it up. After a year of the Watergate investigation, Nixon said the same thing. I wonder why Nixon said this? George F. Will is the conservatives' conservative. Great column by George Will who is someone I seldom agree with. Pence is a toady, a sycophant, a homophobic jerk. The percentage of Americans who live out their religion on a weekly basis – by praying, going to church, and reading and believing in the Bible – has remained remarkably consistent over the decades, even as the population of the United States has grown by leaps and bounds. 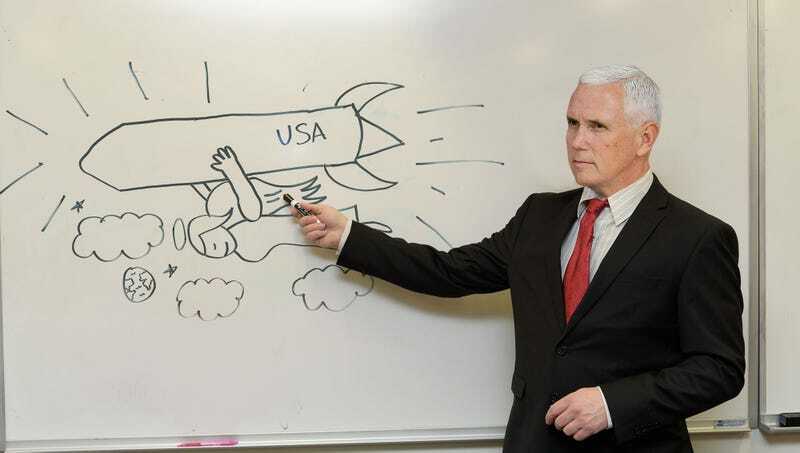 Pence is Vice President of the United States under the US Constitution. He is supposed to represent all Americans, and the freedom to have religion or not to have religion. These kind of statements not only make him look Prejudiced, but they also make him look as though he wants to put Americans in a hierarchy of categories according to his preferences. He has not been hired to promote any church or religion in the United States. He's been hired to represent all Americans fairly and with equal consideration. Having said all that, his statement is erroneous and he seems to be promoting one religion in His official federal government capacity, which is Un-American and unconstitutional. America is not a theocracy, like Iran-- somebody needs to tell Pence that he's way out of line with these kind of bogus comments. "From King David's time to our own, President Trump has now etched his name into the ineffaceable story of Jerusalem." -- Mike Pence. Indeed, trump will even rival King Manasseh of Judah. George F. had somewhat of a "Come-to-Jesus Moment" after Bill O'Reilly humiliated him and kicked him off Fox. 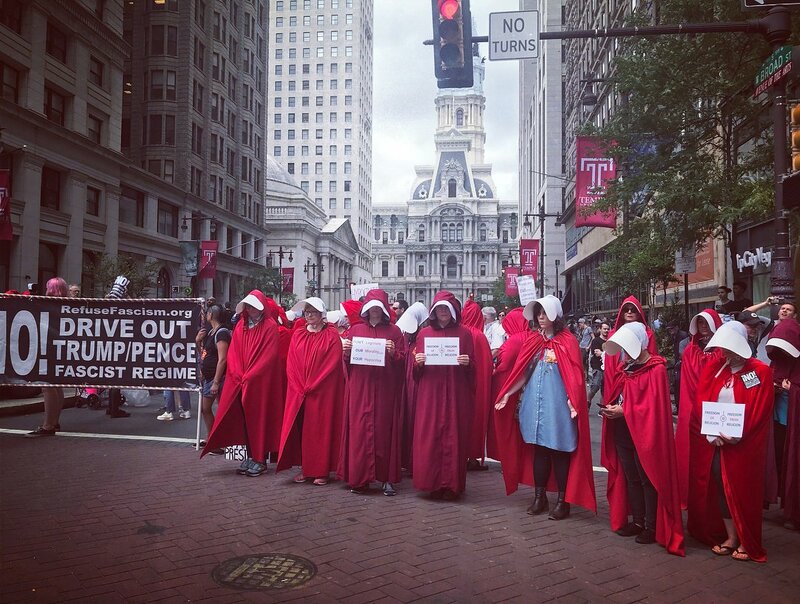 Women dressed as characters from the novel and TV series "The Handmaid's Tale" join a protest against Vice President Mike Pence in Philadelphia. All of these Vice presidents, except one, Gerald Ford became president after the death of the incumbent. Succeeding a president without ever having been elected president yourself is no easy feat. Of the five men: Roosevelt, Coolidge, Truman and Johnson were elected to their own terms of office. While Ford was defeated by Jimmy Carter. trump: Dear God, please don't let them impeach me but, God's will be done. Michael Cohen (directly behind trump): Dear God, please let my testimony impeach trump, but not put me in jail; but God's will be done. 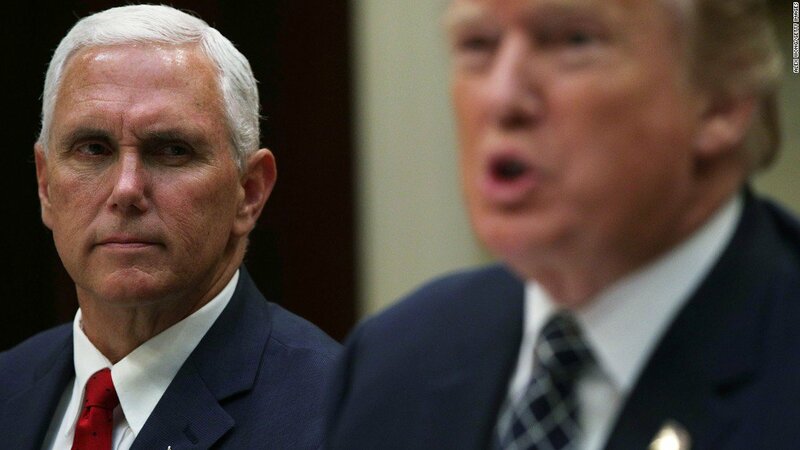 Mike Pence( to the left of trump): God's will be done. And only impeachment stands between him and us. We must pick our poison it seems. I didn't vote for that ******* or his running mate. In some circles this is called 'the devil made me do it'. I'm sick of these evangelicals deciding how everything should be for every one of us. What ever happened to separation of church and state? Pence can take his "holier than thou" attitude and shove it up his ***. I have been sick of them for decades. Here in CA we did tell them to shove it; they have little to no power. But to live in a state where even 30% of the citizens are evangelicals; That has to be hard. version of Hey, Trump is doing stuff we like so who cares how he behaves. difficult to get in some states. No wonder they've go gaga over Donny boy. Mike, this is shameless. Republicans refused to even speak to Merrick Garland. Why does any Republican nominee “deserve the support of every member of the US Senate” when GOP tribalism torched the process? you mean advise and consent. Dang good movie. Saw it last night.